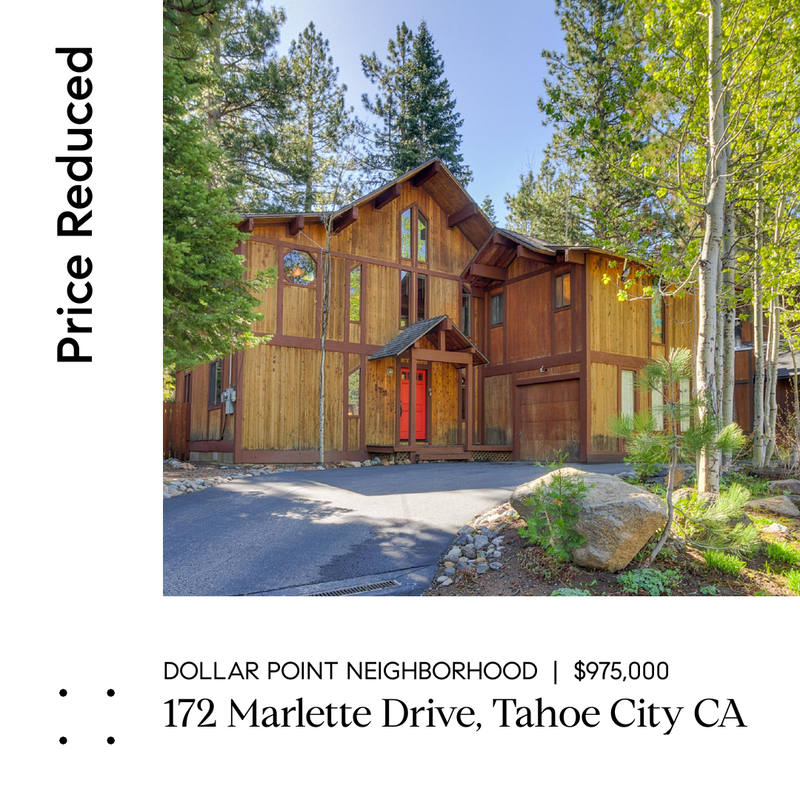 Welcome to 172 Marlette Drive in Tahoe City! This wonderful 4 bedroom, 2.5 bath mountain home has a lovely deck overlooking a large enclosed back yard with lawn and beautiful appointed trees and aspens on the property. The living room is open and spacious with vaulted ceilings and warm-wooded beams throughout flowing into the dining area and kitchen featuring stainless steel appliances. There are three bedrooms on the first floor and master suite on the upper level. Located in a friendly neighborhood with exceptional Dollar Point HOA amenities from pool, tennis court, private beach, pier and buoy. Enjoy the outdoors with nearby trail systems, cross-country skiing, and close proximity to miles of paved bike trails; makes this home an exceptional year-round retreat. Minutes drive to downtown Tahoe City.